Cameron Bisig has over 5 years of experience in the fitness industry, and has a sincere passion for helping others achieve their goals. Growing up playing sports his entire life, Cameron decided to transition his passion for sports into pursuing bodybuilding. Cameron won 1st place in the 2013 Lonestar MuscleMania competition in Men’s Physique, and since has worked with many physique competitors, men and women, assisting them in their contest preparation through extensive knowledge of body fat reduction techniques. After finishing his athletic career, he began to work with athletes in the Sport Specific Training field, helping athletes of all ages reach their full potential. Many of the athletes Cameron has worked with are now playing at the collegiate (NCAA) or professional level of their sport. 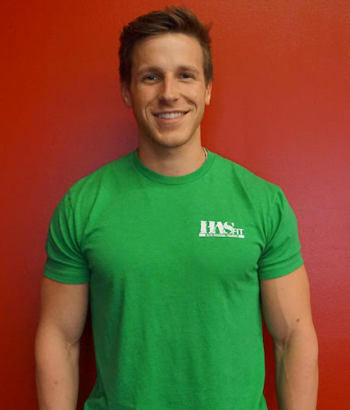 Cameron is a Certified Personal Trainer through The National Academy of Sports Medicine as well as a Certified Sport Specific Trainer through The Athletic Performance Lab. Cameron is ready to help YOU achieve your goals whether you want to make it to the big leagues, or get into the best shape of your life.